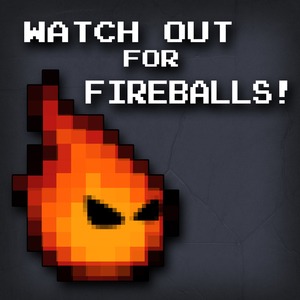 Hi there, we have some news for you about the future of Watch Out for Fireballs! and Bonfireside Chat. We think it’s pretty exciting. The short version of it is that Bonfireside Chat is ending in August, and will be replaced with more frequent episodes of Watch Out for Fireballs!. The long version can be found below. We’ve got a lot of stuff to talk about, and we want to hear what you think. So we’ve set up a survey to gather your input. And we’re giving away three (3) $20 Steam gift cards to some randomly drawn people from the respondents. Please read everything here before you complete the survey, if you could. How is Bonfireside Chat going to end? What’s Happening to the Crystal Chronicles? What’s Happening to Other Shows on the Network? How is the Patreon Changing? Early Release is getting better. We’re changing the Slack access tier. What are some open questions? Not all of this is happening immediately. Here’s a brief timeline so you can know what takes effect when. January: WOFF! expands beyond retro games. May: Brayton replaces Gary on Check It Out, Comrade! Late June: Changes to the Duckfeed Patreon will take effect. July 1: Early Release shifts to 1 week early instead of 1 day early. July 9: Bonfireside Chat Victory Lap season begins. August 1: Watch Out for Fireballs! schedule change takes effect. August 20: Final Bonfireside Chat airs. It’s strange to begin an announcement about Watch Out for Fireballs! with news for a different show, but the fate of Bonfireside Chat affects everything on the network. We’ve thought about it long and hard, and we’ve decided to end Bonfireside Chat in August of 2017. Bonfireside Chat and the Dark Souls series have both been very good to us. We’ve met a ton of great people doing the show, built an audience, and made some great episodes. But the Dark Souls 3 season kind of broke us. It was the first time we had to spend so much time playing, examining, and talking about a game that we’re not crazy for. We knew the end of Bonfireside Chat would happen some day. As early as a year ago, FromSoft told us that the series was concluding. We entertained the notion of continuing the show by talking about SoulsLikes, but those are of wildly varying quality. And all of our thoughts come back to this: Dark Souls was a game that was so good that we couldn’t **not* do a show about it. * Most of the sequels were as well. But it makes no sense to bind ourself to things that merely imitate something that we love. What if From releases a new SoulsBorne game? E3 is in a few weeks, and it’s totally possible that From will announce something related to Souls. This won’t change our decision. Instead, that game will be covered on Watch Out for Fireballs! The same applies to any really good SoulsLikes. We have a plan for ending Bonfireside Chat, and we’ve alluded to it before. This summer, we’re walking back through the whole series in the opposite order that we’ve covered it. Each game will get an episode + appendix pair, and we’re going to talk about each entry in the broader context of the series now that we know how it ends. These episodes will have guests, and they’re already chosen from our Bonfireside Chat After Dark tier backers. They are John Hurst, Mitch Benes, Randy Walker, and Kilo Pascal. Prior to that, we’re going to cover the remaining soulslikes we’ve committed to covering. Namely, Let It Die, Nioh, and Hollow Knight. You’ll notice that this brings the entire podcast around full circle. We like how appropriate that feels. What Happened to Bonfireside Chat After Dark? We miscalculated when we added Bonfireside Chat After Dark to the Patreon. We had no idea what would happen with the series or the show when we thought that up. We’ll own that mistake, and we also want to make it right… and here’s how. Those backers who would have been guests on Bonfireside Chat After Dark will instead guest on those final revisit episodes. It feels right to get people from the community involved in the victory lap, especially if they are people who have supported us as much as those individuals have. We’ve spoken with them, and they’re cool with it. If you paid for a prompt or question on Bonfireside Chat After Dark, we will use your responses during those recap appendices. Please look for a message in your email inbox toward the beginning of June. We’ve gotten a lot of suggestions about what to cover after Bonfireside Chat ends. People were pulling hard for games like the Witcher and Nier. We seriously kicked around the idea of starting up a show that chronologically examined the Resident Evil games. The Crystal Chronicles was on our Patreon milestone goals for a very long time (more on that later). Starting up a new show about a new series of games makes less sense than making big changes to Watch Out for Fireballs!, which has always been our flagship show. What happens if we broaden that umbrella, and make changes to the schedule to allow us to cover more games in greater depth? What’s it look like if the Witcher 3 becomes a game we could cover on WOFF!? You end up with something we’ve codenamed WOFF! 2.0. But we likely won’t use that name in the future. WOFF becoming more frequent is a huge deal for us. And here’s what it looks like. The first 3 weeks of each month (or the first 4, if it’s a 5 week month) will feature full episodes about short or medium length games, or episodes about portions of larger games (like we’ve done with large games in the past). The last episode of each month will be a collective listener response episode about all of the games we covered that month. This kind of grouping will also let us do themed batches of episodes each month. Hypothetically, this is what “Weird NES Sequels” month would look like. Week 4: Feedback episode about all three of the previous games. Other ideas for themed groups of episodes would be a long look at the Wolfenstein series, going from Wolfenstein 3D to the 2008 reboot to Wolfenstein: The New Order. We could also do a Resident Evil cleanup month, with Resident Evil 3: Nemesis, Code: Veronica, and Resident Evil 6. We aren’t promising that either of those will happen right away, but they’re examples. If this sounds familiar, it’s similar to how we’ve treated JRPGs and CRPGs in the past. The Neverwinter Nights II series of episodes was a test model for this, and we think those episodes turned out very well. Looking at the math, our old “tick tock” model of release would usually result in 26 episodes per year. Our multi-part episodes have made us come out with slightly more than that (for example, we released 30 episodes in 2016). Under the new model, you would get 40 mainline episodes per year. We will cover more “small” games. The Pac Man 2 episode in the Duck Bundle was a test for how this would work. Split episodes will go away (namely, single episodes that feature two games, like the Starflight/Toe Jam & Earl episode, or the Brawler special). We’ll be a little more liberal about splitting meaty games into multiple parts (example: Metal Gear Solid 2 is on our docket, and we’re splitting that 12 hour game in 2 because we will have a lot to say). We’ll have to be more comfortable with some episodes being “only” 60-90 minutes, as we cover some shorter stuff. Two things that won’t go away are poll episodes and executive produced episodes. Those will be folded into the model, and remain unchanged. That means one of those will happen each quarter (or four times per year). 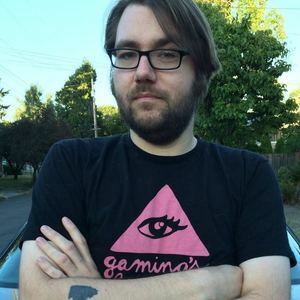 Another consequence is that listener response episodes will be much meatier since they’ll cover 3 or 4 games, and there will be a more consistent deadline… namely, responses about all of the games should come in by the 15th of each month. You may wonder what us covering FF4 on WOFF! means for the Final Fantasy show we had planned. It means that show won’t happen. We pegged that show at a very high milestone amount because it would take a tremendous amount of work. But as Bonfireside Chat wound down, we realized we probably wouldn’t hit that total any time soon. And redesigning WOFF! 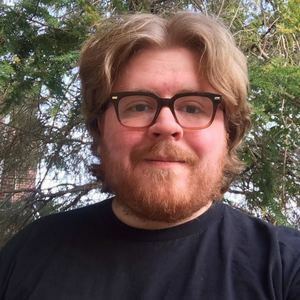 presented an opportunity to cover the Final Fantasy games that were meaningful to us without taking on an unreasonable workload that would harm the rest of the shows. In general, we want to be very circumspect about adding new shows, so we’re going to make some changes to the Patreon campaign to reflect that. Expect more details later. Of note: Heartbeat City will not go away. Gary will record and release a pilot for that soon. This change shouldn’t have a huge impact on other shows, but there are some things we’d like to announce/clarify so people know what’s up. Gary is taking a leave of absence from Check It Out, Comrade!, the network’s indie game show. Brayton Cameron from Teenage Dirtbags will be replacing him. Gary made this decision to free up more time for working on his book, and playing things for the new iteration of WOFF! We’re really excited to have Brayton take over his seat. Brayton is hilarious, and has different taste in games than Gary does, so you will see them cover different stuff. Gary will still come back for specific games (think Thimbleweed Park or Torment: Tides of Numenera). File Under Water has an end date. Right now, it’s slated to end in late October. A show about R.E.M. was always going to be limited, because they only put out a limited number of albums. We currently have no plans to cover another band. Radio Free Mid-World is a limited show as well. Once we run out of Dark Tower books, related works by King, and related media (the movies, TV show, whatever else comes) we will end that show. Don’t worry, this won’t happen until 2019 at the earliest. We’re making some adjustments to the way our Patreon works, in order to reflect these changes to our show lineup. Chiefly (and logically), we’re getting rid of the $75 BSC Afterdark tier, and removing the “get a prompt on BSC Afterdark” from the $10 tier. We are also removing The Crystal Chronicles as a milestone goal. Both of these will be replaced by something else in due time… Look a little further down to see what we’re thinking of (and to see how you can help). We’re also making two other big changes. Effective around the end of June and the beginning of July, episodes on the Early Release feed will come out a week early, instead of a day early. We are also raising the price of this perk to $5 per month. This is more valuable, we think, and it brings us closer in line with other Patreon campaigns that offer a similar perk. We’re going to make a great deal of these changes in the middle of June, and the “1 Week Early” change will happen for any episode that would have normally come out in July. The only show this doesn’t apply to right now is The Level, which will come out 1-2 days early because of how that show is produced. Effective sometime in June, Slack invites will only go to backers at $5 and up. If you already have access to the Slack team, or access the Slack team before the change is made, then you will be grandfathered in. We will not revoke Slack access from people. We’re doing this for a couple of reasons. The community is getting very big, and it’s requiring more work and more touch than it did in the past. This will help control that. Additionally, it will reduce the number of drive-bys that happen, as $5 is a bigger investment. Something to note is that the $1 tier will not go away. Those small donation amounts are huge for us. You will still get access to incidental content, and access to Watch Out for Fireballs! polls. Everything laid out before this paragraph is a decision we’ve already made. We feel like they are good decisions, and we wouldn’t shake things up so much if we didn’t feel so secure in how things are going. But each big decision is accompanied by multiple smaller decisions. And that’s why we’re running this survey… to gather useful information from you, and to hear your thoughts and ideas about how the network can get better at giving you things you want. Here are some questions that have gone unanswered, and we want your help. What’s a good replacement for the $75 tier? That’s a lot of money to give, and we want to make it awesome. Would you want to guest on an episode? Dictate a piece of media for a Try This type show? Dictate the subject of some video content like Let’s Plays? What kind of new milestones goals would you like to see? Should we do another live show each year? Should we hold a virtual DuckCon? Include more guest episodes on WOFF!? Do one-off milestones interest you? Not every milestone needs to be an ongoing commitment. Maybe we could do some actual-play tabletop one-offs. Maybe we could set a goal for Gary and Kole to stream some co-op games. And there are other questions we haven’t even thought to ask. We want to know what would make you a patron if you aren’t one already. We want to know what stuff we do that you care about, and we also want to know what you don’t care about. We’d also like to hear how you feel about the changes to our biggest shows. We’ve already made our decision about ending Bonfireside Chat, but it’s worth understanding how this will impact your listenership and patronage. Something we don’t want to hear is “Stick to Games” or “Stop mentioning politics.” We also don’t want to hear “Be more positive.” Save yourself the time and hassle if that’s what you were going to say. After this novella of a post, we want to know what you think. Use the button below to fill out the survey. It will be a huge help to us. Completing the survey and selecting “Yes, I would like to enter the contest” will enter you for a chance to win a $20 Steam gift card (we are giving out three of them). We are especially interested in your responses if you’re not already a Patron of Duckfeed.tv on Patreon. Thank you so much for reading this, if you’ve gotten this far. Your support has meant the world to us, and we are incredibly excited about what these changes mean for the network. Thanks for being along for the ride.